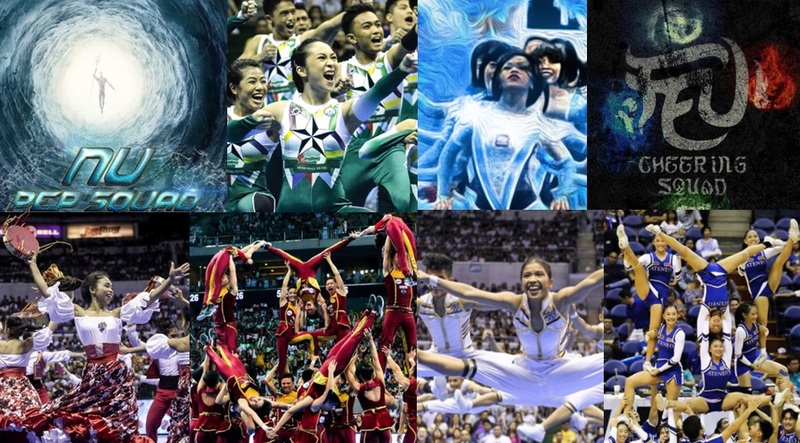 MANILA, Philippines - The most anticipated UAAP Season 80's Cheerdance Competition (CDC) is happening today, December 2, 2017 at the Mall of Asia Arena. Check out on this page for the live updates and results of the annual one-day event. CONTINUE DOMINANCE OR REGAIN CDC TITLE? Eight UAAP-member schools vie for the top spot. Eight UAAP-member schools battle to win the hearts of judges and viewers in the jampacked venue. The Top 3 cheerdance teams are announced at the end of the competition. Reigning champion and gunning for the 5-peat, the National University (NU) Pep Squad performs first. Next are the performances from the De La Salle University (DLSU) Animo squad, Adamson Pep Squad, Far Eastern University (FEU) Cheering Squad and University of the East Pep Squad. Returning team, the University of the Philippines (UP) Pep Squad, looking to regain the supremacy, will be sixth to perform. University of Santo Tomas (UST) Salinggawi Dance Troupe and Ateneo's Blue Babble Battalion will perform next. The criteria for judging were divided into two: cheerleading and dance criteria. The result of the UAAP CDC is now part of the tabulation to determine the UAAP Overall Champion.